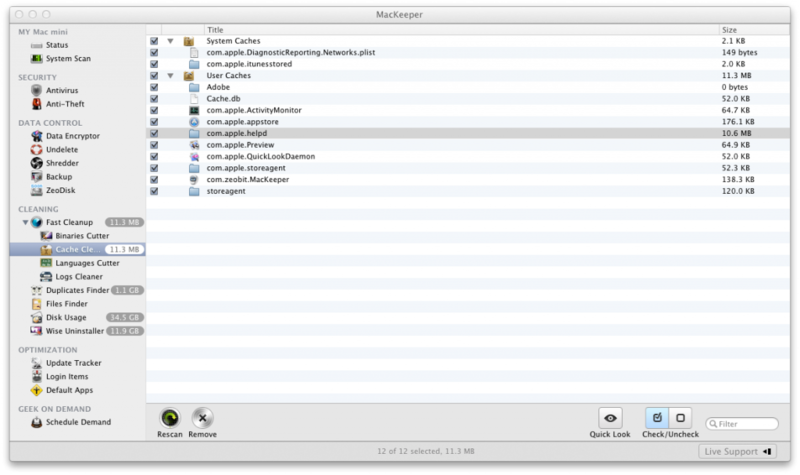 Mac users like me want a fast running machine, Not full of junk. I love to save disk space. 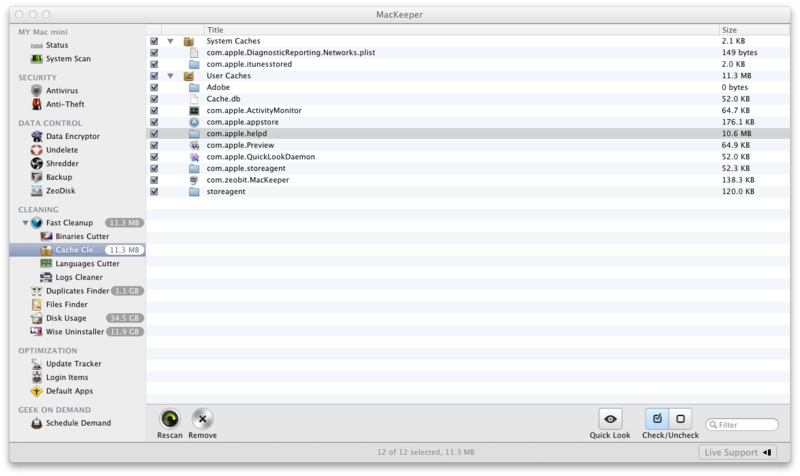 I use multiple apps to try to keep my Mac running smoothly. All have different interfaces, some are free and some cost. It’s a mess. I used to run them a lot when I was new to Mac but now days I hardly use them. I forget some of the tools I used in the past and i mentioned some before. I was planing on mentioning more. 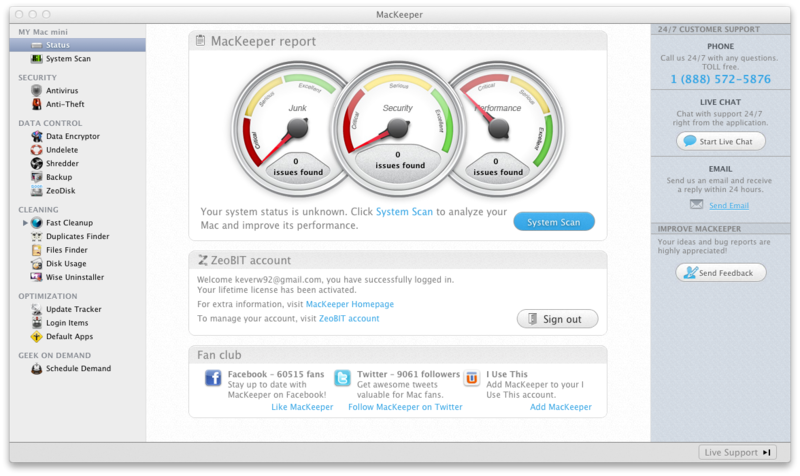 Well now I don’t have to mention anymore as MacKeeper is an All in one tool that does what I would do with multiple apps. The app is easy to install and use. Press “System Scan”. 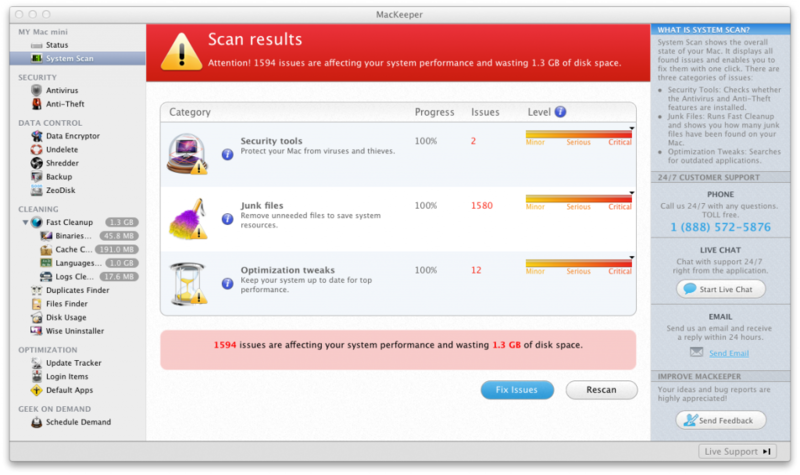 It then analyzes your Mac. Analyzing took less than 5 minutes on my Late 2009 Mac mini. I was expecting it to take longer as other apps do, but it scanned my system fast! 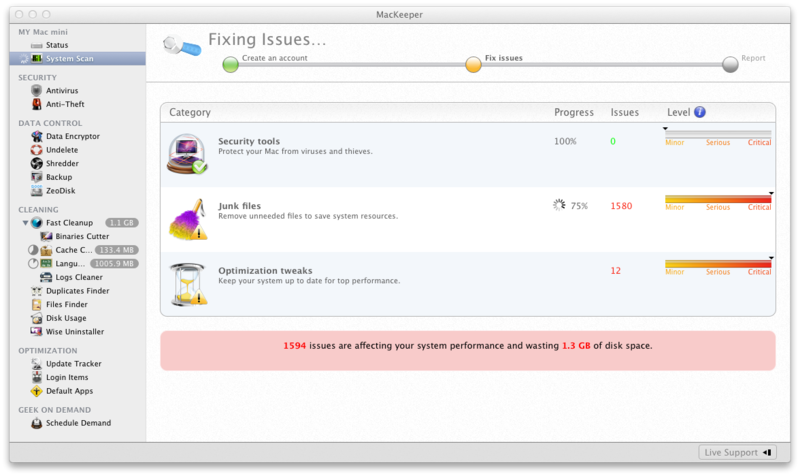 I have 1594 issues and 1.3GB of wasted disk space. I never knew that. Doubt I would have without this application. I’m going to press “Fix issues”. You then will see a cute little wrench tightening up your system. Nice interface design. Awesome! Its done fixing. So that was basically a quick system scan but there is more advance stuff you can do. You can remove binaries. I have a Intel Mac. 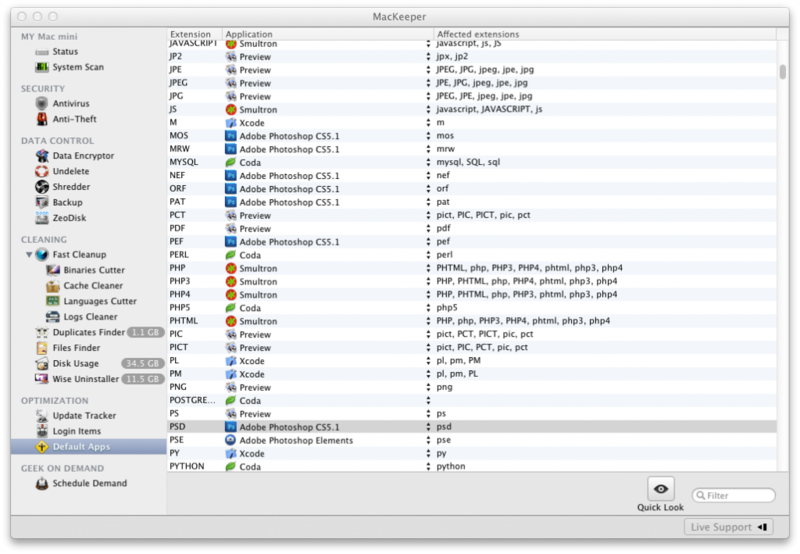 Some apps are universal apps meaning they have code in them to run on a PowerPC Mac like G3,G4, etc. So i don’t need them and they waste space. I only know English as a human language. 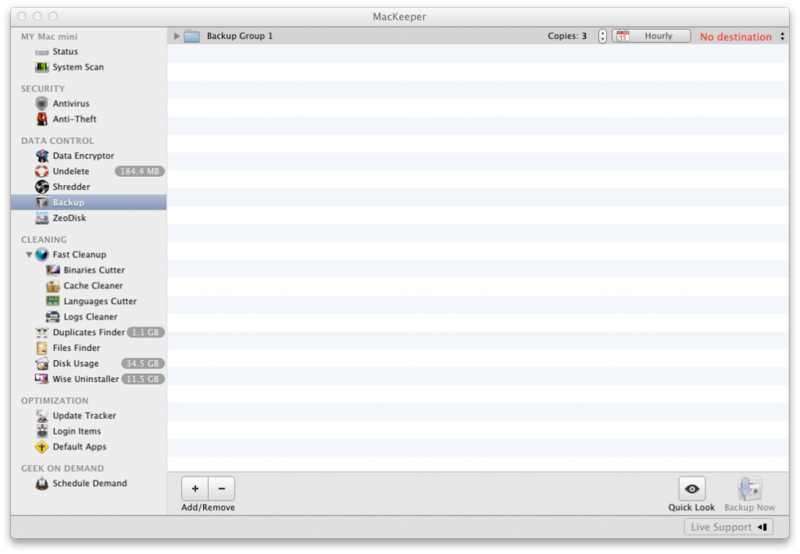 So in preferences you can tell it what languages you want it to keep. I only kept English. So I saved even more space! 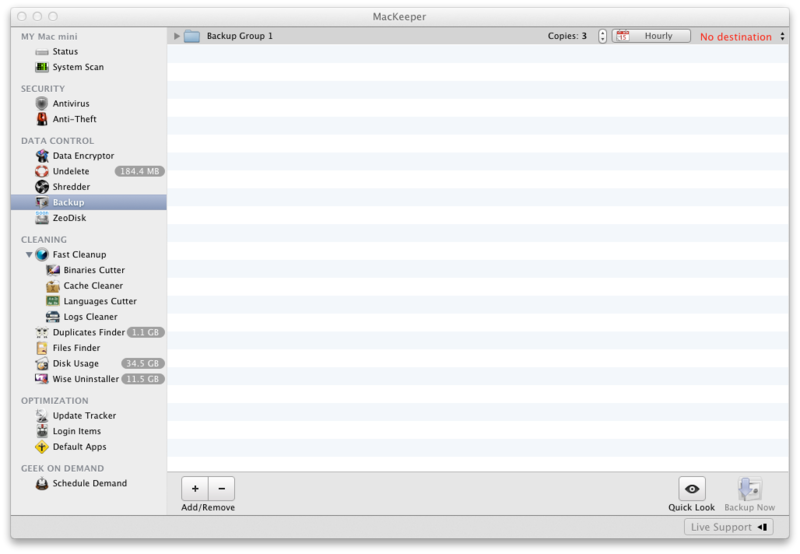 MacKeeper has a uninstaller built-in. 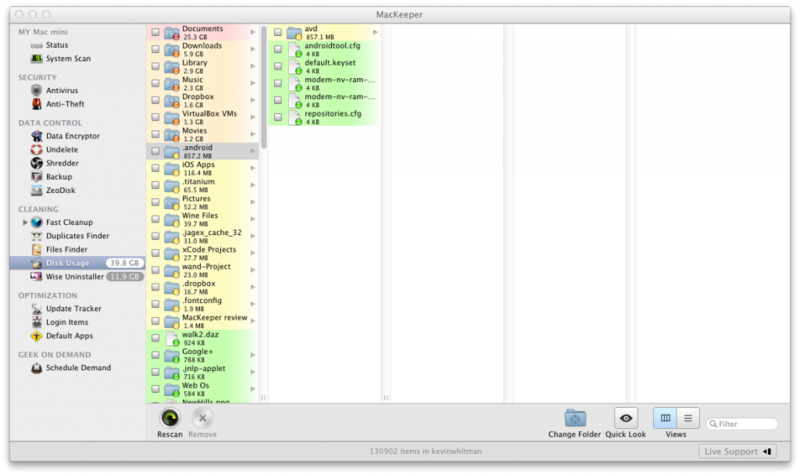 On Mac most people just drag the app in to the trash and delete it that way. 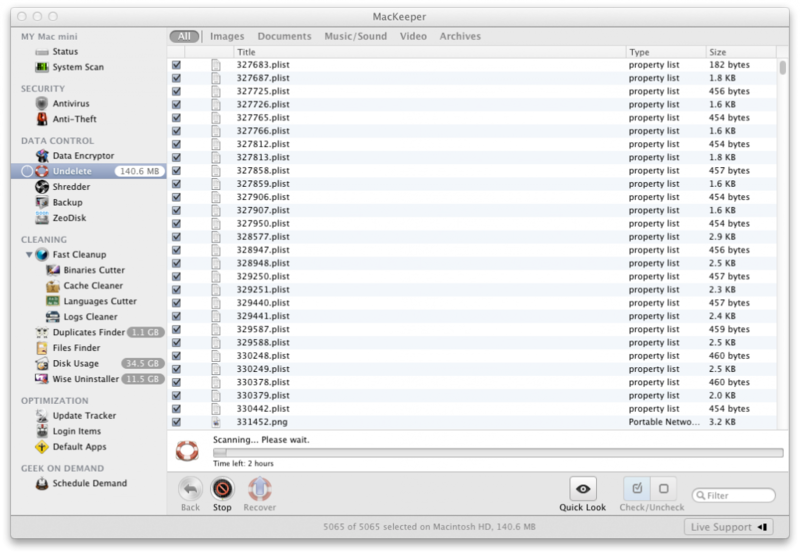 When doing that it leaves behind files like for example in your library system folder. If you knew what you was looking for you could find it and delete it but not everyone will know how or feel comfortable. Even nerds like me don’t want to do that, I could be working on a PHP Script or something better with my time. 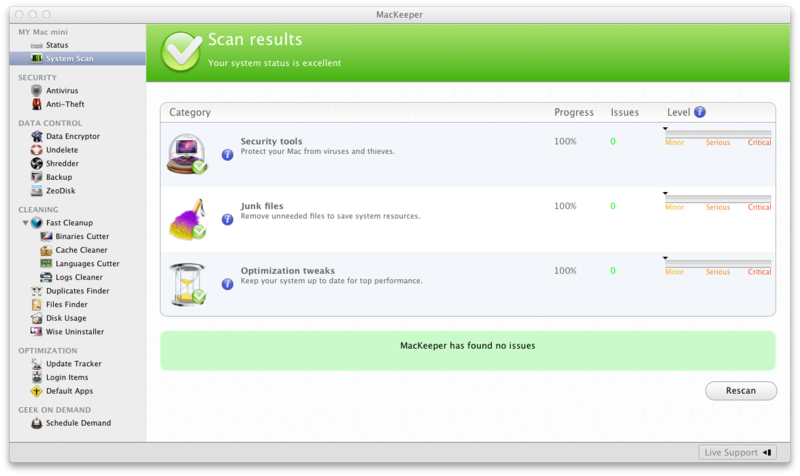 So with MacKeeper Wise uninstaller you select what you want to remove. 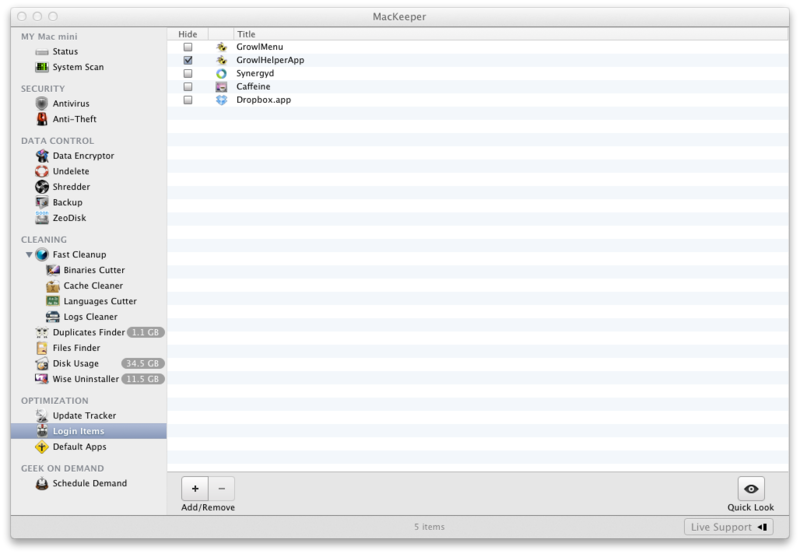 It can be applications, widgets, Preference Pane or even plugins. So for example I selected Applications, then i checked some apps I never use anymore. Then I pressed remove. 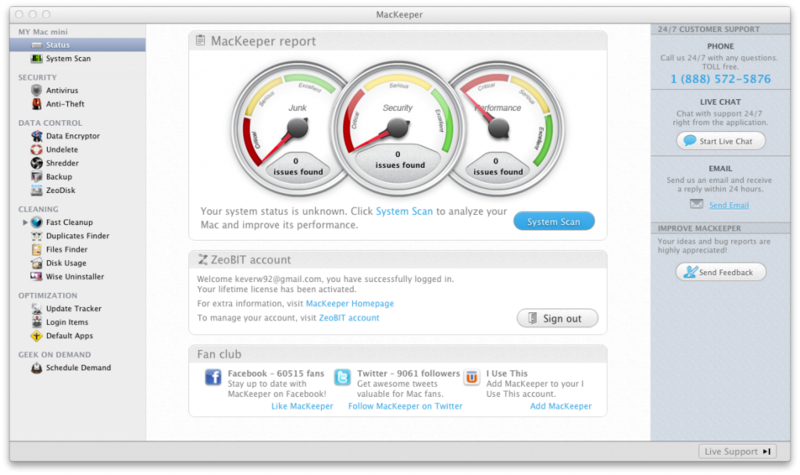 MacKeeper then asks you if you are sure you want to permanently remove the apps. I pressed okay. It removed 23 items for me. So i just completely uninstalled a few apps. 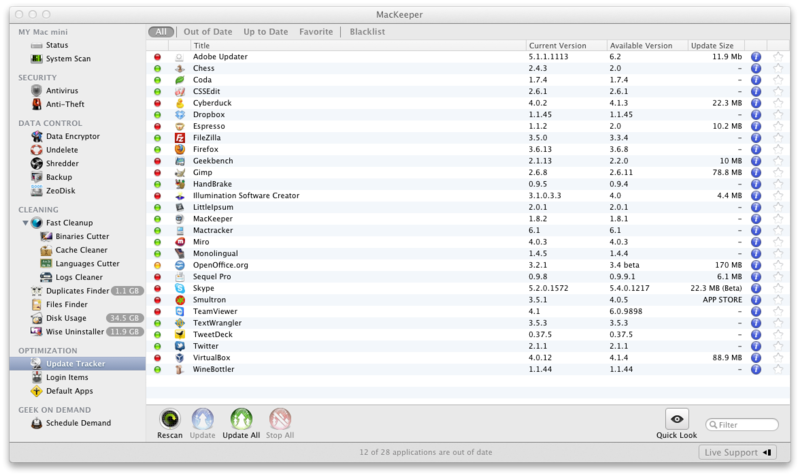 MacKeeper also lets you check for disk usage. It found the Android SDK. I never use that anymore and i forgot about it. That’s 856.2 MB wasted which i didn’t notice. Going to remove the Android SDK. I check it. When I’m ready to delete I press “remove” If I click on downloads for example It shows me folder and files in it. I can check them and view other folders. 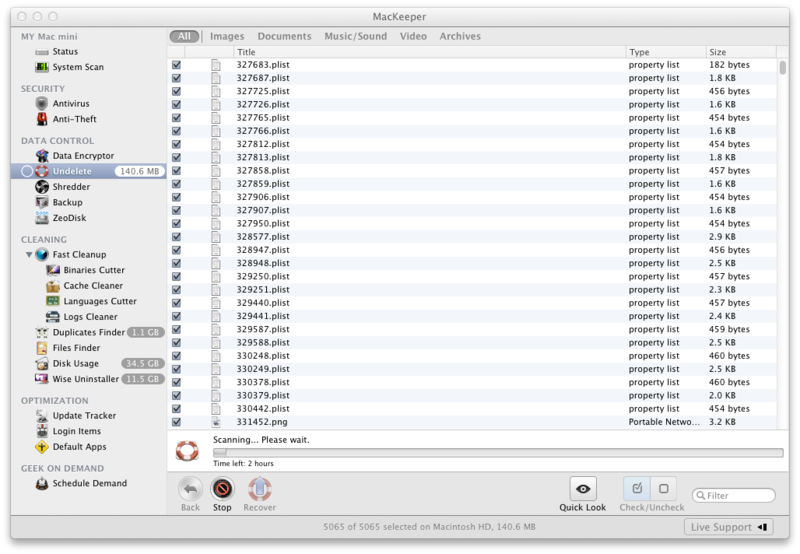 You can also right-click and reveal in finder to make sure you want to look at that file and make sure you want to get rid of it. I removed 5.3GB and I’m sure I would find more stuff I don’t need if I took more time to look and stopped being a pack rat. It moves it to the trash when you press “remove” then you can empty the trash like normal. 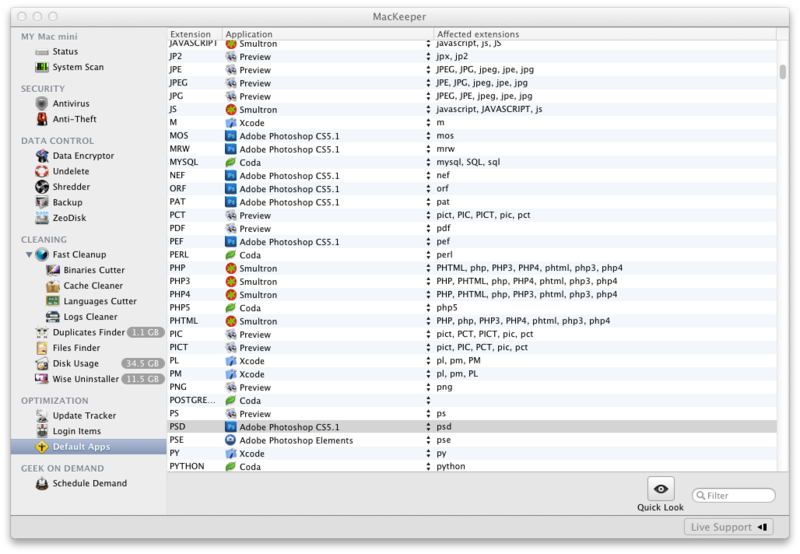 You also have a duplicate file finder. I used it and it returned a list of files. I didn’t try to remove any as some of the files are duplicated on purpose. 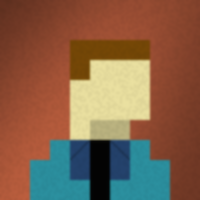 Like I have multiple projects with the jQuery library. It has a find files feature. 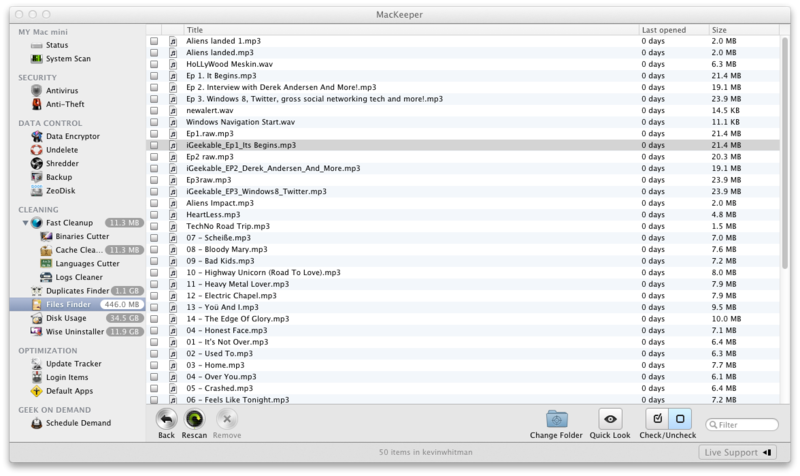 For example I can find the latest 50 audio files added to my Mac. Which can be useful if you’re not sure where a new mp3 downloaded to from a Music Store. 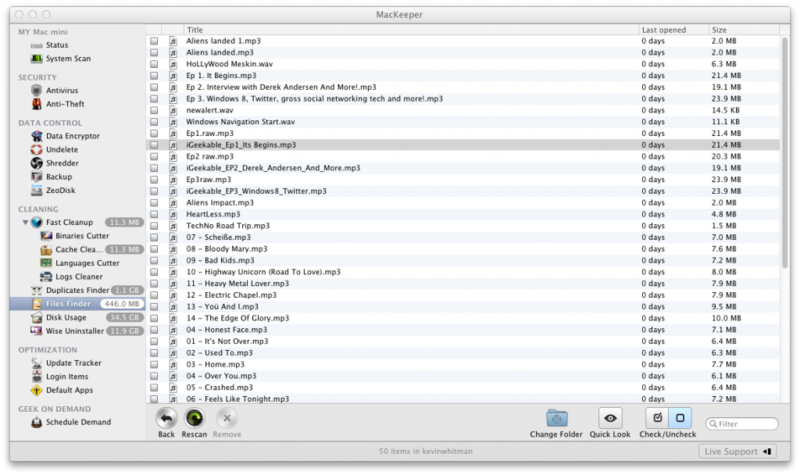 Also can find videos and other file types. You can also create your own custom presets. You can clear caches. Similar to how a browser caches webpages to load them faster, applications will also cache data. You can clear them to regain space. Like if you don’t plan to use that app for a while. It has an Update Tracker which shows you out of date software and allows you to update. I clicked update on an app I had selected. It took me to the file download for that app. Some apps will download and update within the app. Cyberduck, Geekbench did that. It didn’t list all my apps and some reason Skype failed to update… But checking for update in Skype says it’s up to date… Skype about says its 5.2 but if I check Skype website 5.3 is the newest version. I had problems with the built-in Skype updater in Skype itself also in the past. Like it would download and in the middle of the update it would just stop. So I just downloaded the latest version of Skype and updated it manually. Most likely a Skype issue. Even though the Mac App Store shows you apps up to date, this can help you keep non App Store apps up to date also. You can manage your login items.Add and remove items. You can also hide a startup item. 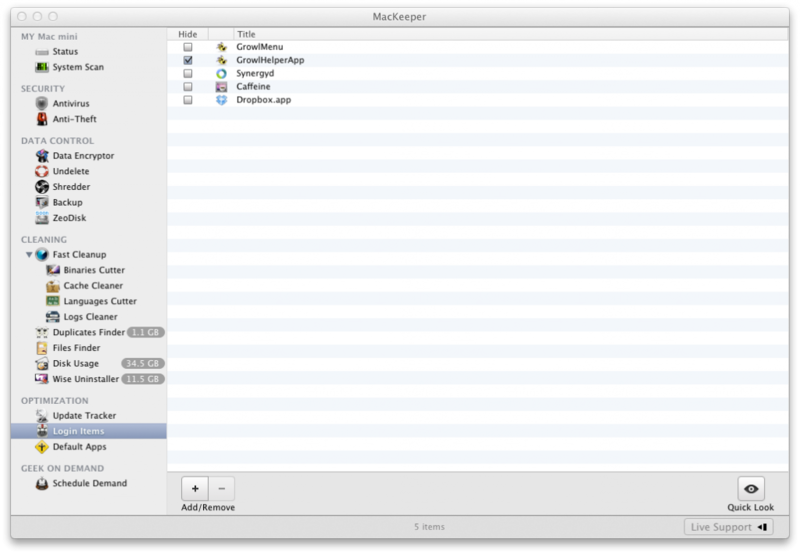 You can look at the default app to open for different file extensions and change the default app if you want. In the data control section you can encrypt your data. You can undelete files, You can shred files. You can also back up your files. 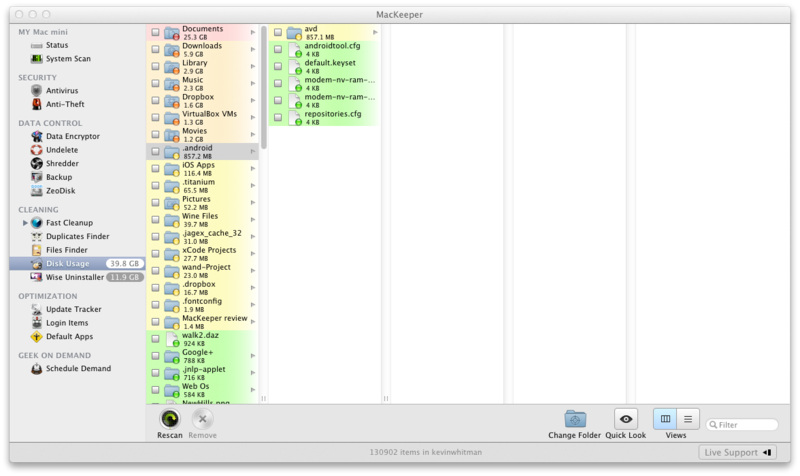 Also ZeoDisk is coming soon which is 3 GB of online storage space you mount as a network drive to use in finder. You can undelete deleted files. It takes a while to scan but can be useful if you accidentally deleted something and didn’t have a backup. This works on your Macintosh HD and USB drives also. Just a reminder you should ALWAYS BACK UP!!! Don’t consider this a replacement for backing up. BACK UP BACK UP BACK UP! Just do it. Back up now! 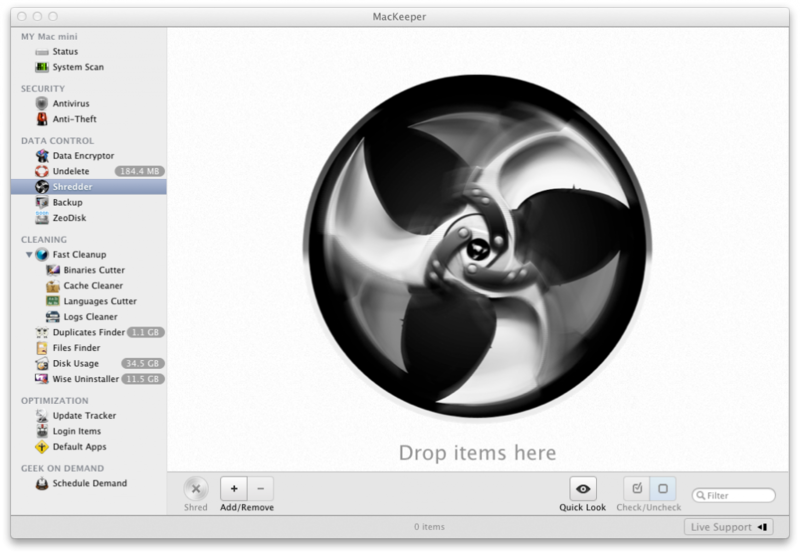 Shredder lets you drop files in and you can then press “shred” to remove them. Its gone forever. Can’t be undeleted. Great if you want to destroy sensitive data. In the preferences for the app you can change the shredding algorithm. By default it uses the same one the Department of Defense uses. You can also have it use Gutmann which is 35 times it passes over or a single pass of random data. You can back up files to your USB Flash drive, External hard drive, FTP servers or ZeoDisk. Which is great if you have a folder or a few with important data you want to back up instead of a full system backup like Time Machine. 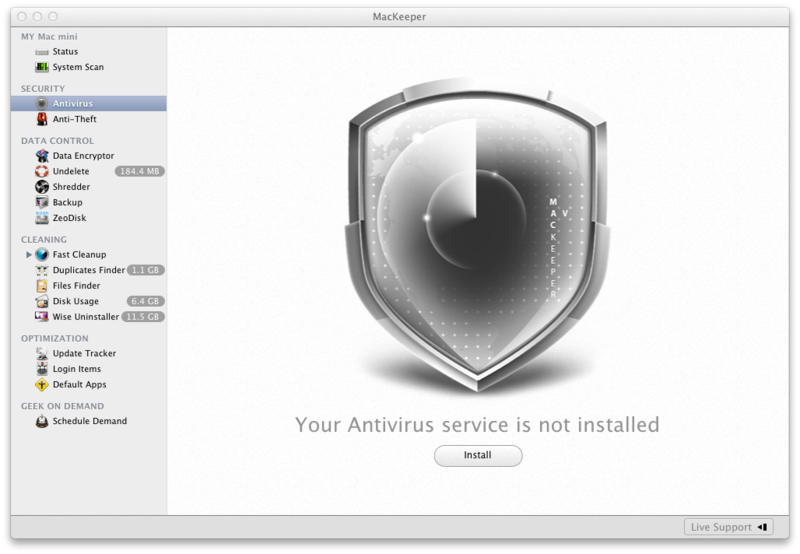 MacKeeper also comes with an AntiVirus. By default it’s not installed but pressing “install” installs it. 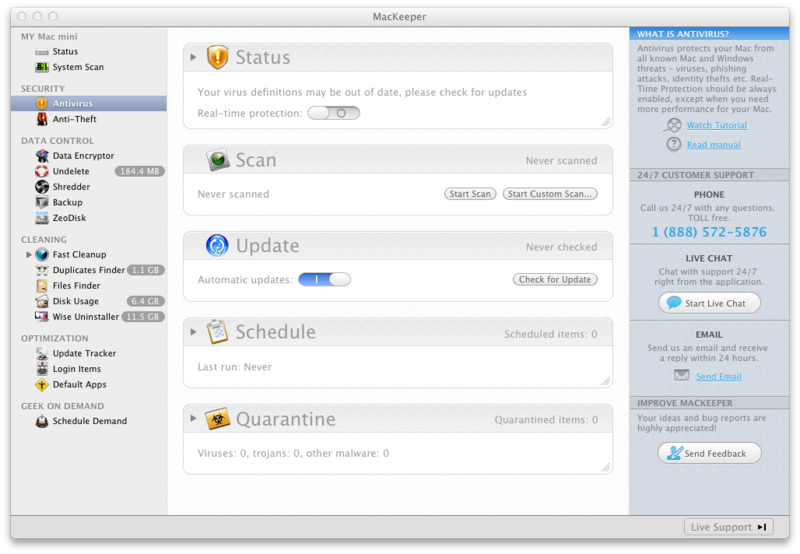 I turned on Real time protection and started a virus scan. Also checked for a virus database update. YAY! Its done scanning. This took awhile but every antivirus i used does. It didn’t find anything bad! 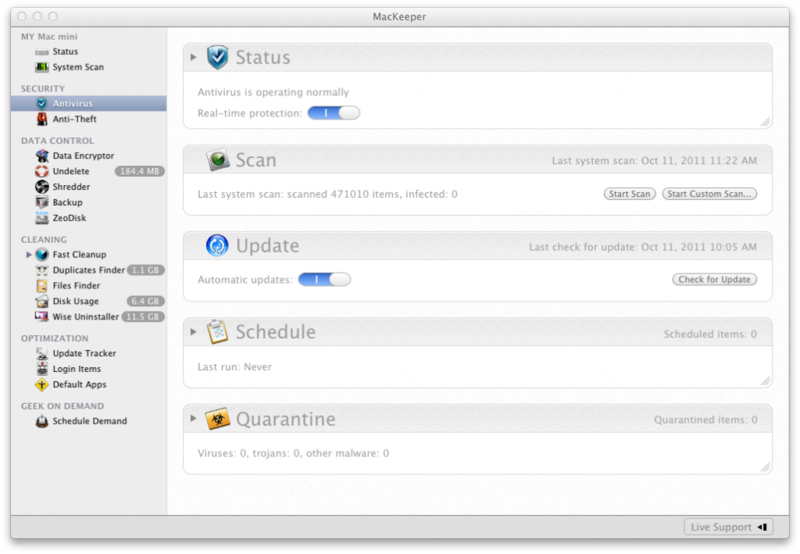 Now people debate whether you need an antivirus for a Mac or not. Apple even mentions viruses in advertisements. I heard different stories on this topic. “Macs don’t get viruses, designed not to get them.” or “Macs are to unpopular to get viruses.” and i really don’t know a definitive answer nor have i done much research in to it. 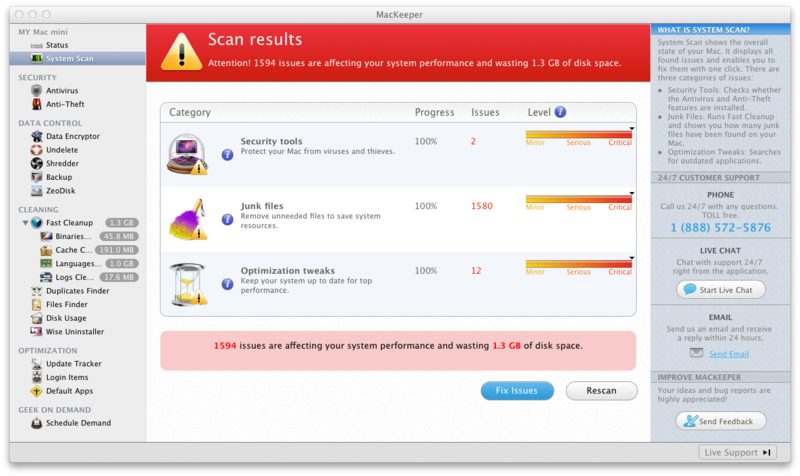 But there is Malware for Macs. Even Apple mentions it in there knowledge base. 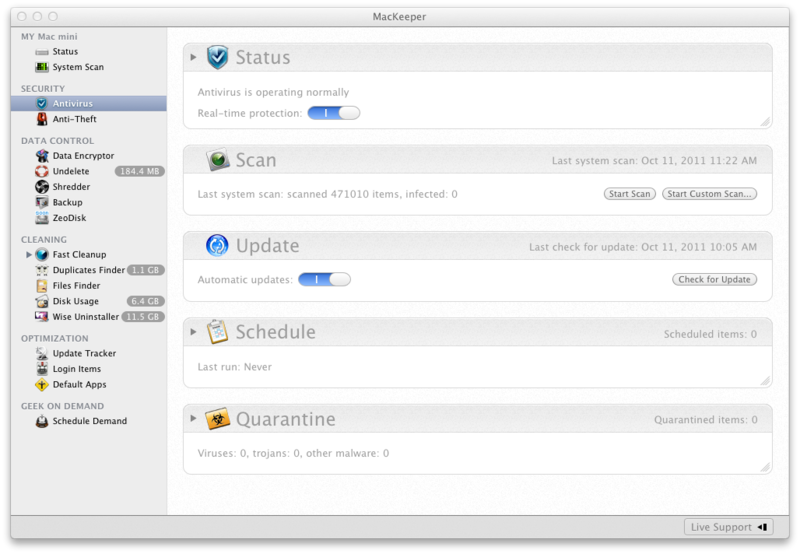 I think having an antivirus would be a good idea just to be on the safe side. 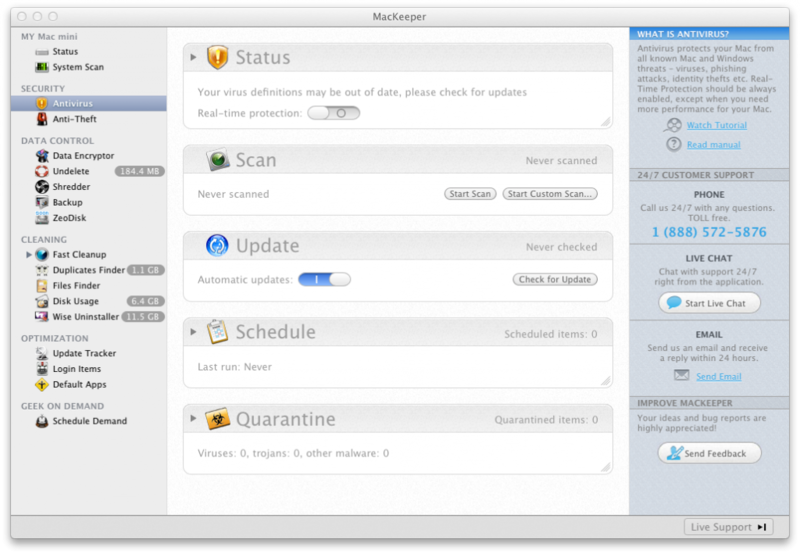 MacKeeper’s Antivirus protects your Mac from Mac and Windows Viruses, identify theft, phishing attacks, passing viruses along, unsafe downloads, threats from external devices, email, spyware and malware. So for example someone emails you a picture of a cute cat and you forward it to a friend and it has a Windows virus in it that won’t affect your Mac and they have Windows. It can help stop the virus from spreading. You could have spread a virus unknowingly. Maybe the person on the other end will get a virus alert and could lose trust in you which is bad. 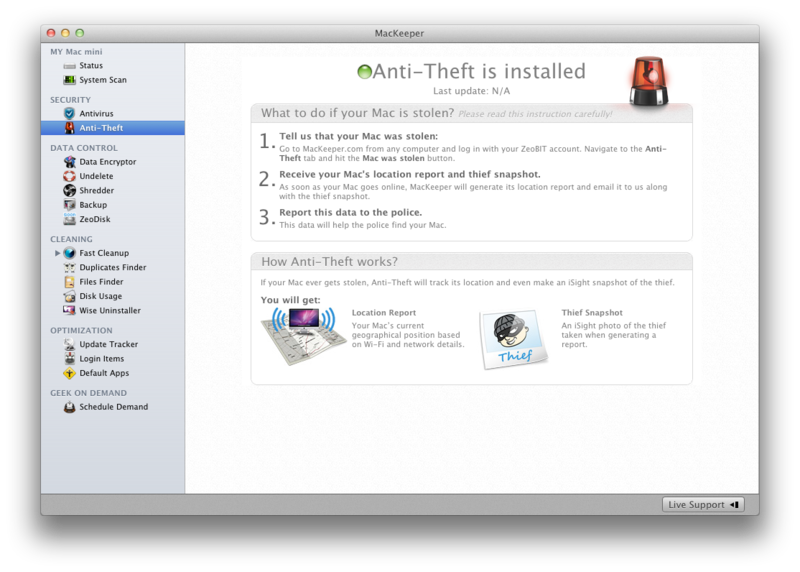 With the Anti-Theft feature you login to your account and mark your Mac as stolen. IP address, Wi-Fi details even snap shots. 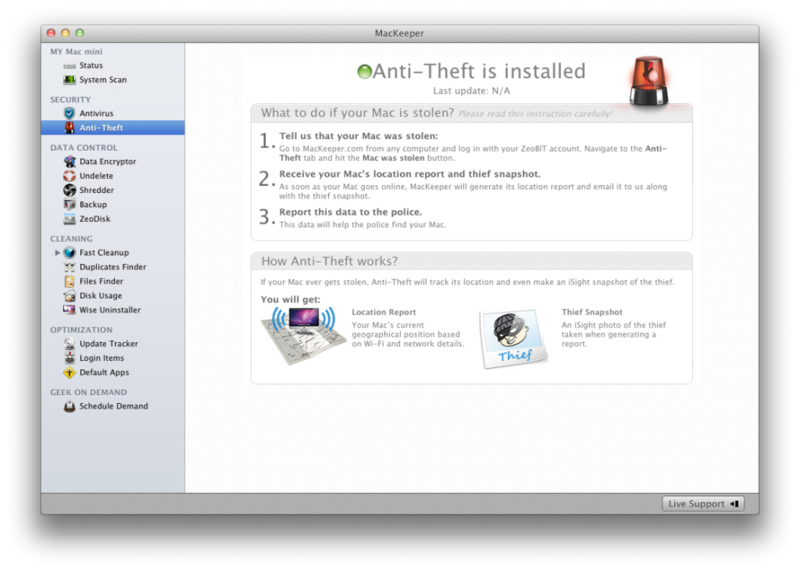 It can take snapshots of the theft every 5 minutes if your Mac has a webcam built-in to it. You get sent the data collected for you to forward to police. 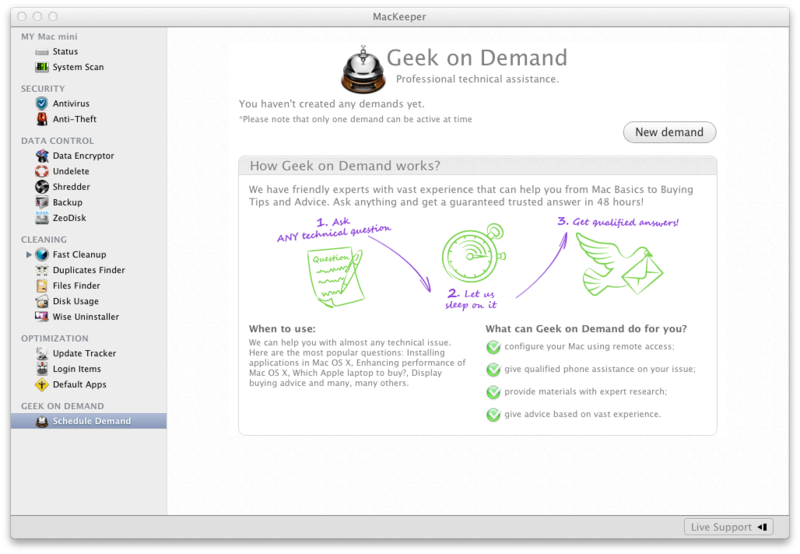 Geek on Demand lets you get help with any technical issue, get advice and buying tips for your technical questions. 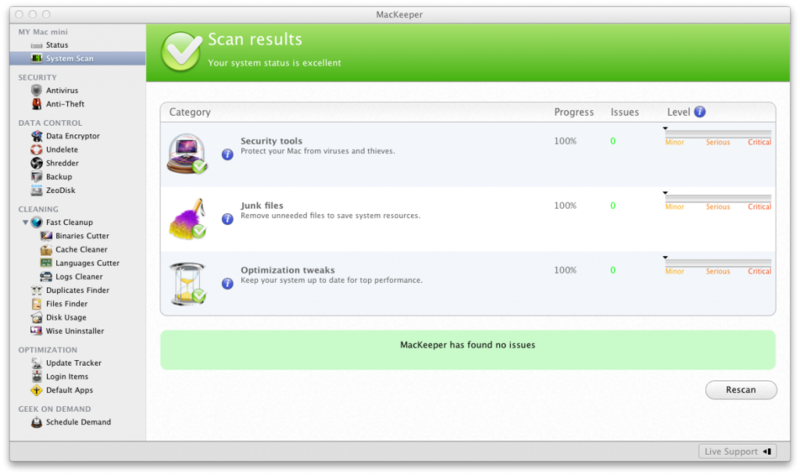 I think MacKeeper is a really great app! It helped me save space and keep things up to date which is always great! 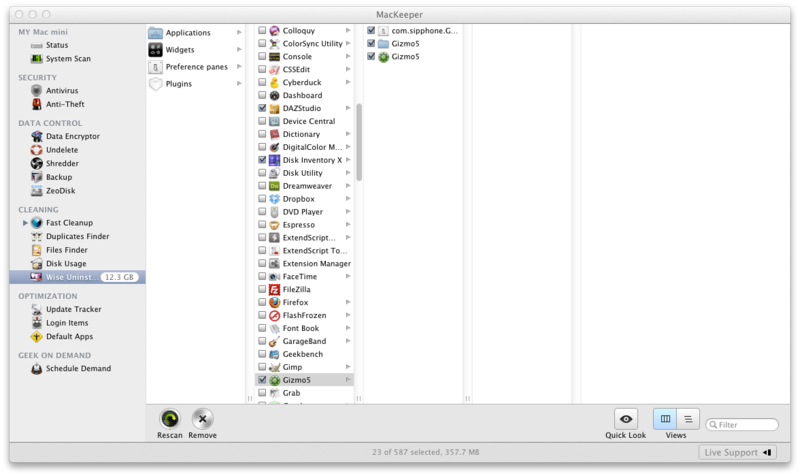 According to ZeoBIT this is 16 Essential Mac Apps in 1 and if you would buy them separate you would spend about 500 bucks. 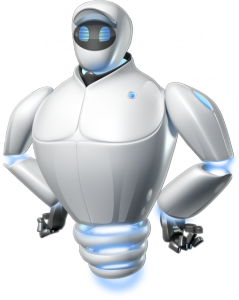 Which is a A LOT compared the price of MacKeeper. The basic package is $38.95 which allows you to install on 1 Mac and allows email support. 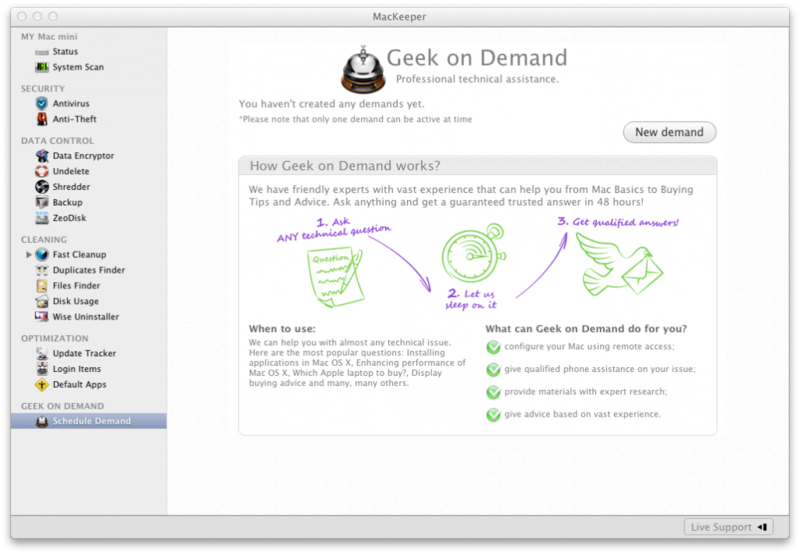 $58.95 for Standard which allows you to install it on 2 Mac’s allows both Email and Live chat support. $88.95 for Premium which allows you to install it on 3 Mac’s and allows email, live chat and phone support. Support is 24/7. 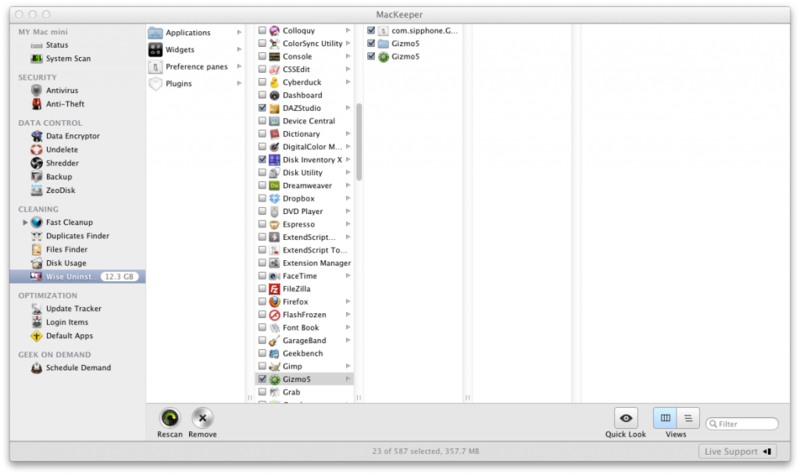 They also have a similar program called PCKeeper so you can use remaining license(s) to activate PCKeeper which has more than 10 essential tools for your PC. I recommend this app because it’s a all-in-one and it seems to work well! Disclosure: This product review was written and edited by me. I am a affiliate for ZeoBIT. So meaning if you buy it from the banner above i get compensated for writing this review. I also got a review copy. This app Replaced about 3 apps I was using already. 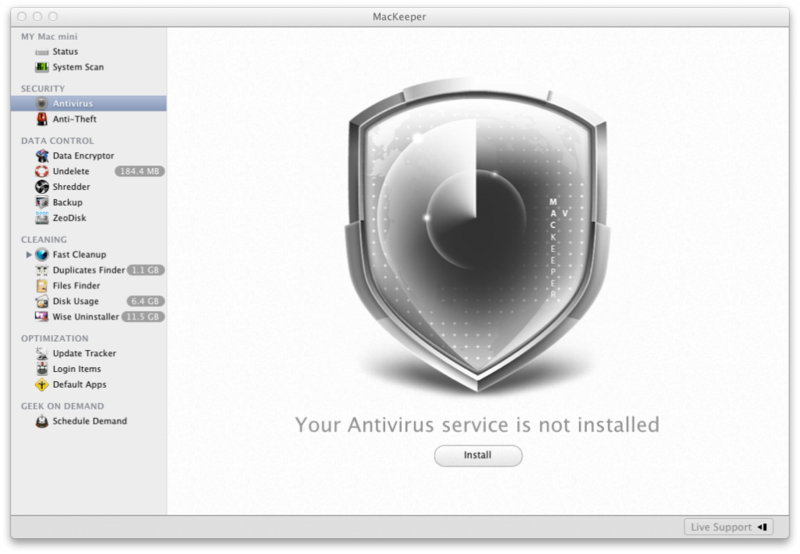 I tried using Mackeeper, I installed it six time and uninstalled it six times, the program would not update the anitivus and would turn off real time protection as and when it liked, I can honestly say it is the worst mac program I have ever used, dont be fooled into buying this junk program. Wow. I didn’t have any issues with it. Did you buy it or was you using the trial? Maybe you could contact support asking for help or a refund if you did. Sad to see it didn’t work for you i thought it was a great program. 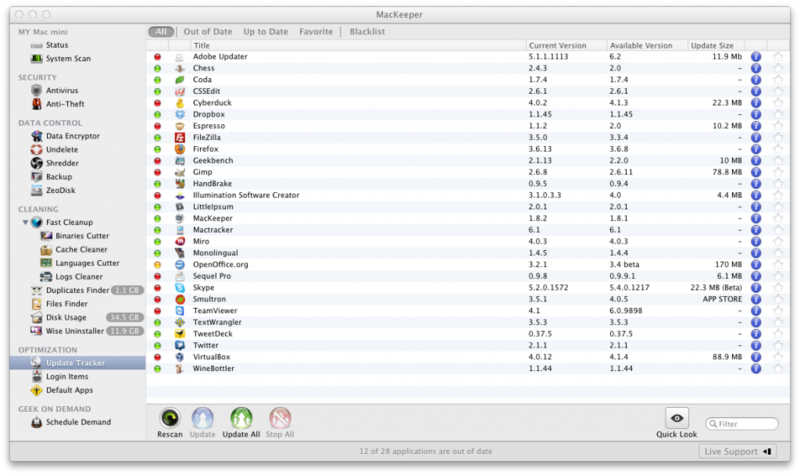 Or maybe i was just lucky… Some of the tools in it are useful for me, others aren’t really as useful. I’m David from ZeoBit, If you have faced such problems I recommend you to contact our support team they will guide you through all of the issues that you’ve faced. We value your opinion and will do our best to help! 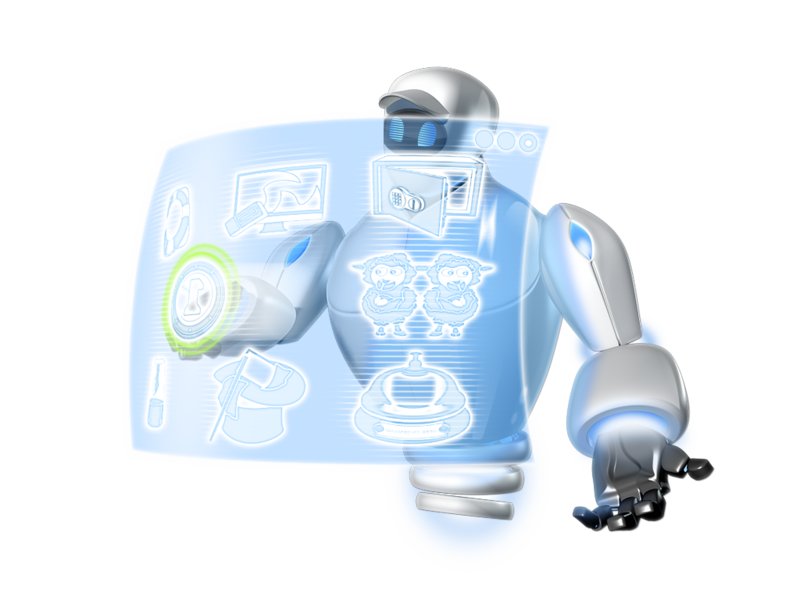 And just for MacKeeper users to know that we have recently launched a completely new generation of MacKeeper (2012) that was oficially presented at MacWorld/iWorld expo this year. 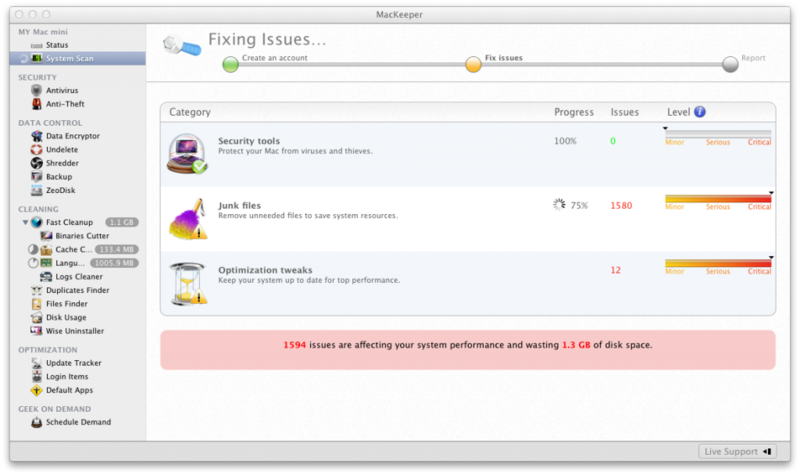 Our techs are doing their best to improve the software so we would like to thank you for your comments and criticizm for you are the ones who help us develop new ways of maintaining your Macs. Warm regards from MacKeeper team.